You can use this technique for baking whole pumpkin and any type of squash type veggies. You can use the pumpkin in smoothies, cakes, pies, pancakes, breads, puddings, baked gratins, soufles and pretty much anything else you can think of. 1. Clean the outside of a "Sugar" or "Pie" pumpkin. Jack O Lanterns will not taste very good. 2. Cut the stalk at the top of the pumpkin. 3. With a heavy knife, slice the pumpkin width wise through the middle. 4. Scoop out all of the pumpkin goo and seeds from the inside. Make sure to scrape the sides and get it super clean. 5. Place the pumpkin halves on a baking sheet, cover very tightly with foil and bake at 350 F for 75 minutes. 6. Remove the pumpkins from the oven and let them sit for 30 minutes. 7. Remove the foil, cool completely and scoop the pumpkin from the skin. 8. Smash or puree the pumpkin using a potato smasher, food processor, hand blender or blender. 9. Place the pumpkin in an airtight container in the fridge or freeze for later use. 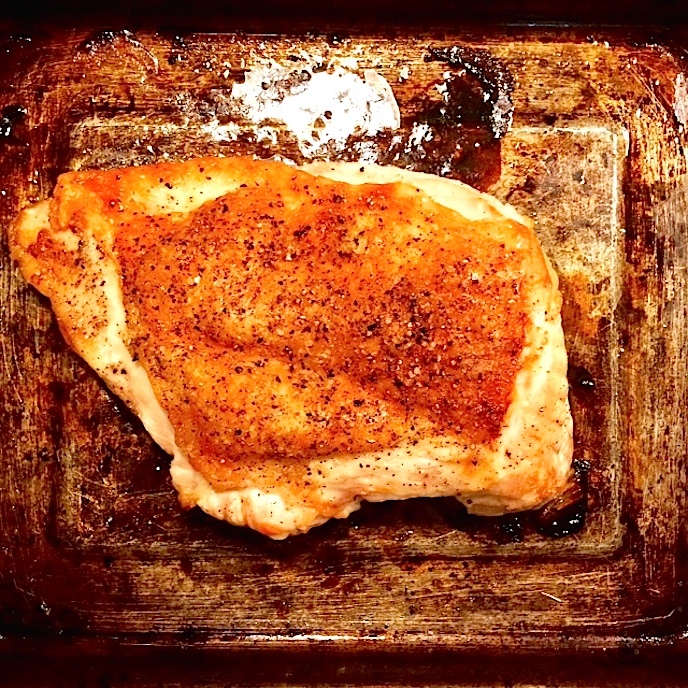 Pre heat the oven to 450 F. Place the chicken in a oven safe baking dish, roasting pan or a large cast iron pan. Dry the chicken well with paper towels. Remove the giblets from the inside of the chicken and then place the garlic cloves inside. Drizzle the butter on the inside and outside of the whole chicken then season with the salt and pepper. Place the chicken in the oven and cook for 20 minutes. Very carefully, open the oven and baste the chicken with the melted butter at the bottom of the pan. Drop the heat to 425 F and cook for 60 minutes, basting with the butter every 15 minutes. The chicken is done when the internal temperature reaches 165 F at the thickest part of the breast not touching any bones, or the juices run clear. It is a great idea to use a simple and inexpensive meat thermometer to check the internal temp. of your chicken. This will ensure your chicken is cooked perfectly every time. 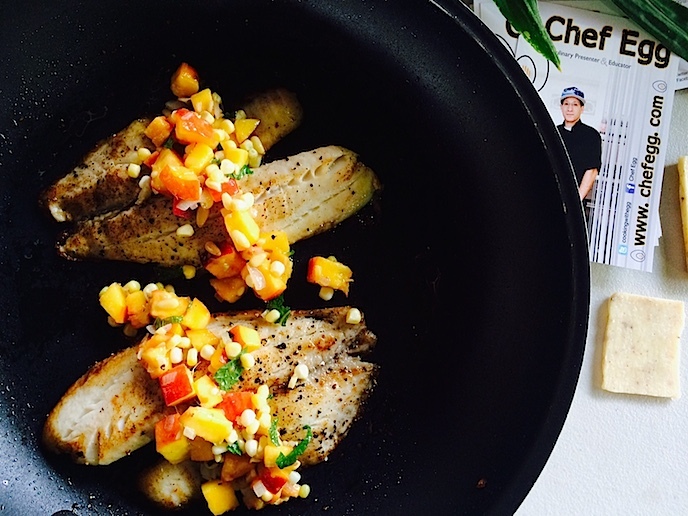 Steaming food is a healthy, quick and inexpensive way to cook foods. The hot steam can cook soft and semi soft vegetable like kale, spinach, asparagus, green beans and broccoli cauliflower in minutes. Hard vegetable and foods like carrots, potatoes, beats and corn on the cob don't take much longer and will hold most of there nutrients during the cooking process. You can also steam proteins like shrimp, salmon shellfish, Chinese dumplings and chicken with great flavorful results. Feel free to add different flavors to your steaming liquid like aromatics (herbs, onions, garlic, carrots and celery), lemon and lime, wine and beer. Most importantly, be careful of the steam when removing the lid to your steam pot. The hot steam will burn you and those around you very easily, and it will hurt badly. To ensure that you are safe while steaming, keep your range fan on high and open the lid to your steamer away from your face with a dry kitchen towel or oven mitt. 1. Steamer baskets are metal contraptions that fit into most pots and allow hot steam through its small holes to cook your food. You add a little water to the bottom and BOOM!, you have an easy and healthy way to cook your food. They are inexpensive and can be found easily online or at a Walmart, Target, Hardware store or your local grocery store. 2. 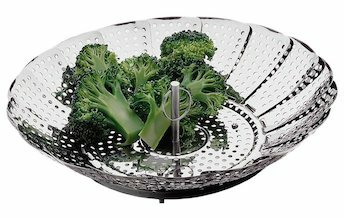 If you do not have a steamer basket, you can use a metal colander that fits into a large pot. Top the pot tightly, pour in an inch of water and you are in business. 3. If all else fails, you can make your own steamer at home by rolling 3-5 pieces of foil into balls and placing in the bottom of your pot. Next, place a plate that is about an inch or two smaller than your pot over the 3 balls of foil, fill your pot with an inch of water, place foods on top of the plate and you have a steamer!